Paper handling is one of the processes in the paper industry. This will require the use of overpressure and vacuum technologies fitted for the process. Paper handling involves a series of steps that starts at the feeder where sheets are separated from each other. The feeder is also used when feeding single sheets to different aggregates and when guiding the sheets as it is processed through the machine. With these different stages, different air levels at varying pressures will be required. At Airtech Vacuum Incorporated, you can entrust us to install vacuum and pressure products for your press system. Paper handling can require a significant amount of time. Although feeding the machine with paper in batches can be done, it will be good to use reliable vacuum and pressure products that will help facilitate the job. Take note though that there are different presses that can be used in the process. There are sheet fed offset machines, screen printing machines, tin printing machines, and rotary offset machines to choose from. Each of these machines are filled with features to suit specific requirements in the press industry. There are also various press components like drying, ionization, and powder aggregates. The press industry is with no doubt filled with choices when it comes to facilitating operations and applications. These choices can complicate one’s decision as to which one to make use of. It is therefore important to consider how the machines and technologies can be customized according to the needs of the industry. Why Choose Airtech Vacuum Incorporated For Press? When Airtech Vacuum Incorporated was founded in 1982, we made sure that we will offer high quality vacuum and blower technologies, including rotary claw vacuum pumps, liquid ring vacuum pumps, liquid ring close-coupled vacuum pumps, and more to the various industries that are in need of one. With our dedicated team behind us, we were able to achieve the purpose of the company. 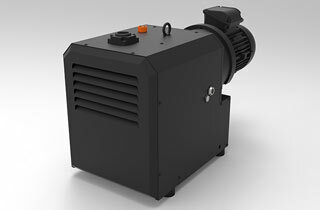 Our unparalleled technology has made our regenerative blowers and vacuum pumps popular in the press industry. Our technologies are easy to install and operate. They also come with features suited for your industry’s needs. Work with us for your paper processing needs and you can have peace of mind knowing that our company is ISO9001-2008 certified and our products certified by UL, CE, CSA and RoHS. We have knowledgeable engineers who are always ready to analyze your unique situation to check which among our pressure-based and vacuum technologies will match your needs. Whether you need to get a blower with magnetic drive or one that is nickel-plated, Airtech has got your back. With us, you can be sure that your orders will be handled with care. Experience how it is like to shop with much ease by browsing through our inventory today! Source top-notch press vacuum and pressure products at highly competitive rates from our shop!